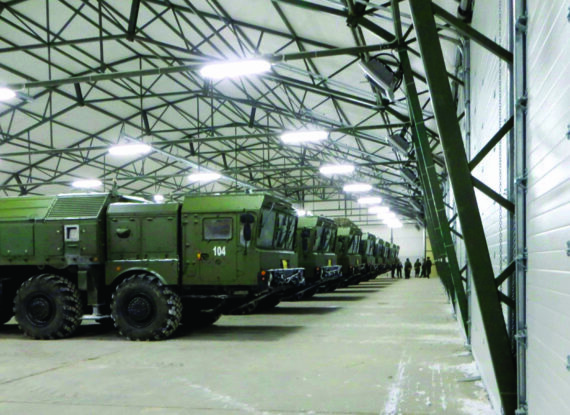 Thick metal, solid design and unbeaten reliability – these are the main features of any military equipment including SovPlym vehicle exhaust extraction solutions for military garages and depots. Since the exhaust pipes of military vehicles have different shapes and design, SovPlym is ready to develop customized solid extraction nozzles that can be tightly fixed on the exhaust pipes of the vehicles (including armored) and sturdy enough to withstand harsh conditions of handling. Not only the nozzles but all the components of SovPlym extraction systems for military facilities are highly durable. These are high temperature and wear resistant hoses, reliable extraction fans, and solid hose reels. All the parts of SovPlym extraction systems undergo strict quality tests to guarantee the highest level of reliability.